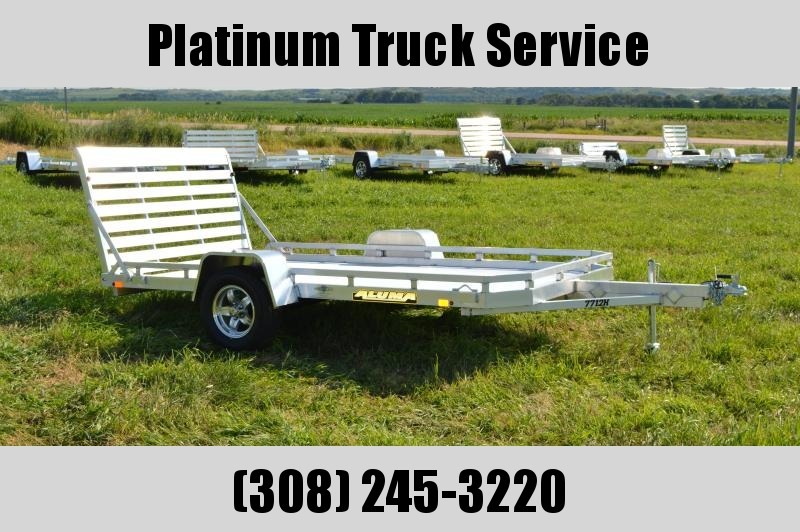 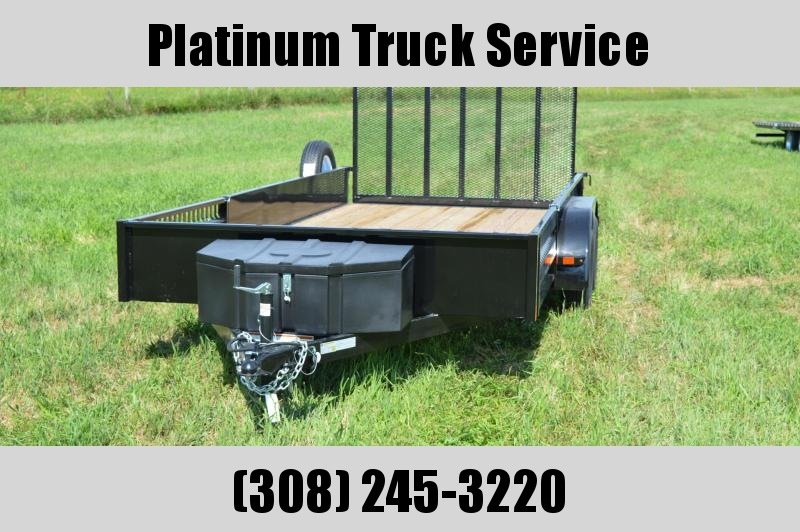 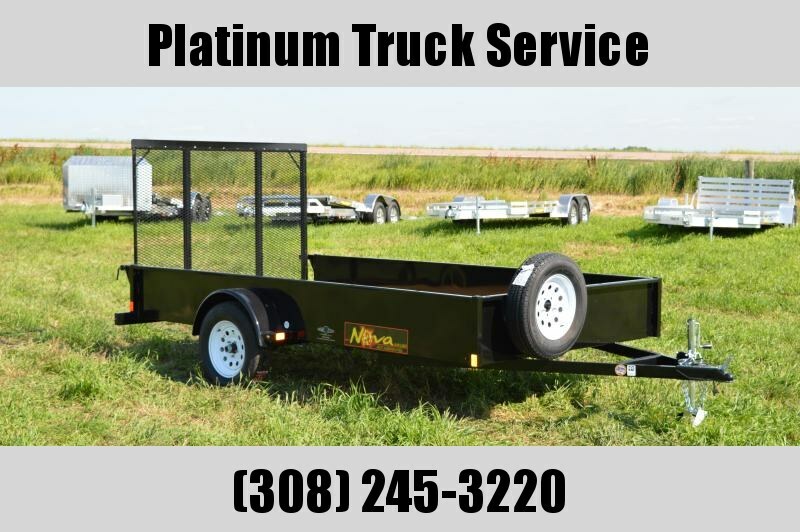 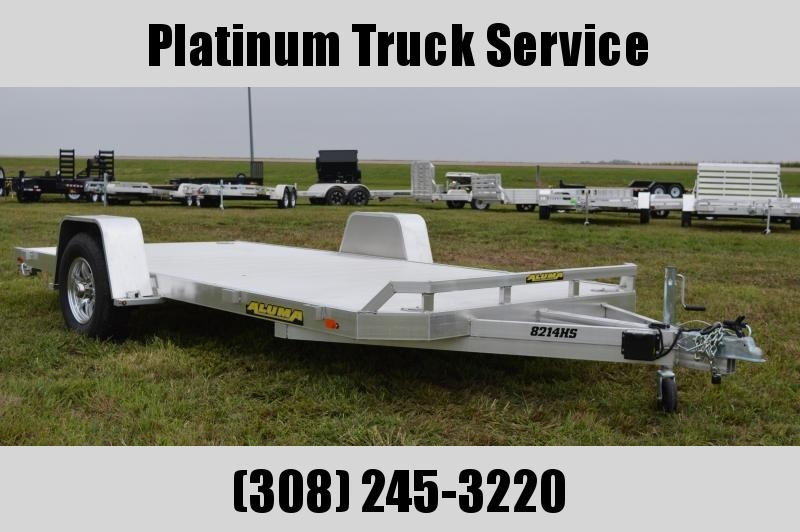 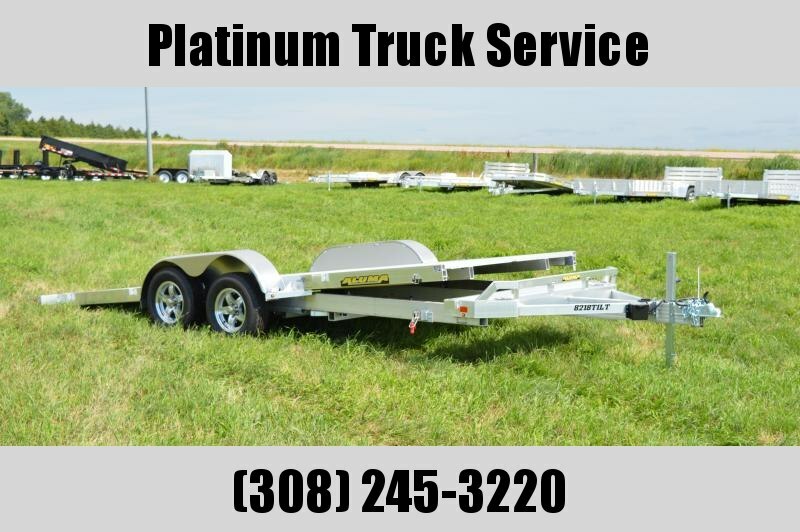 Here is a 77" x 12' trailer which is a popular model that is able to haul a side by side or lawn mowers and even items that just don't power them selves . 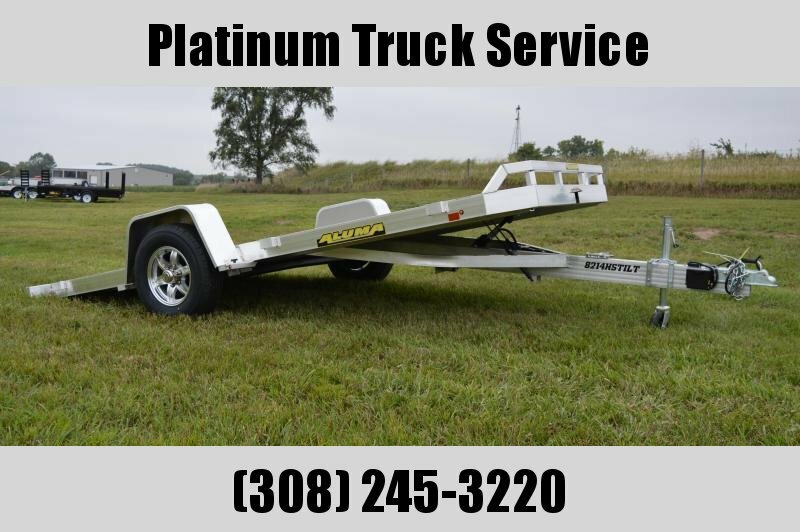 This trailer comes equipped with a 3500# rubber torsion axle that has a GVW of 2990# . 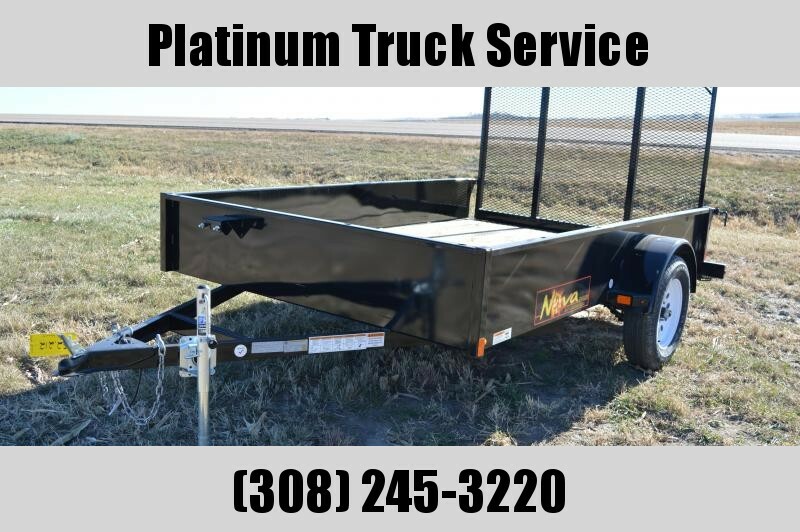 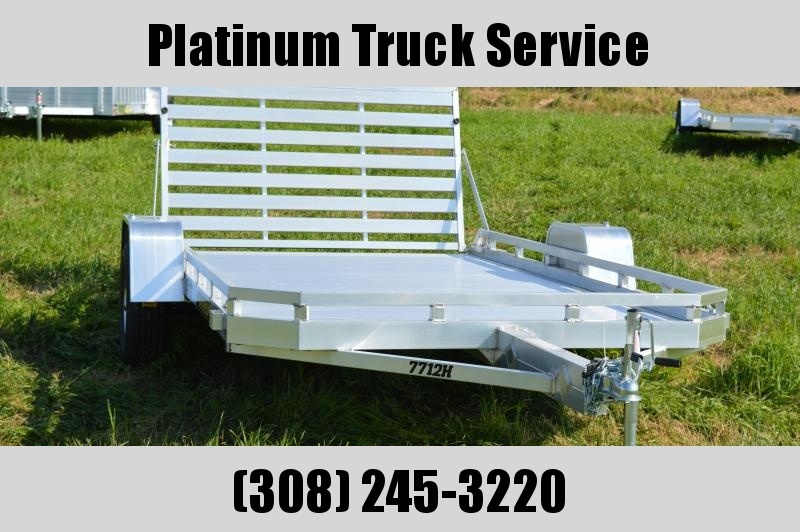 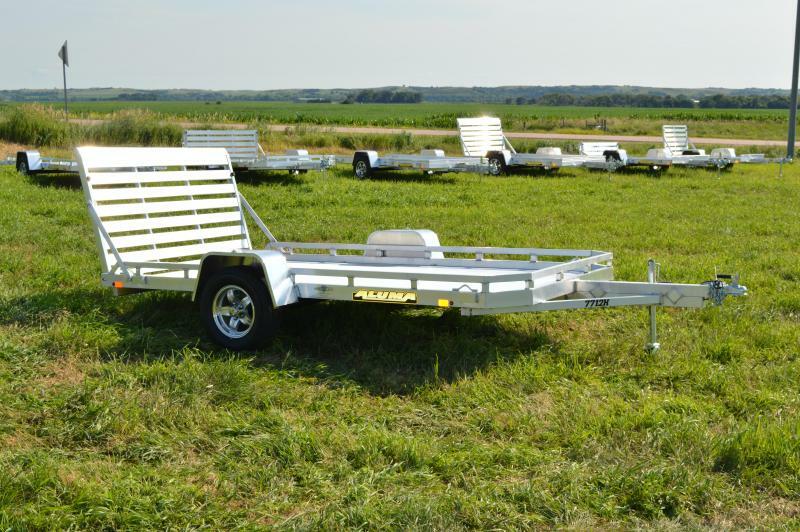 Trailer has standard 14" aluminum wheels and other options this model trailer has are LED lights , tongue handle , swivel tongue jack , and 4 stake pockets . 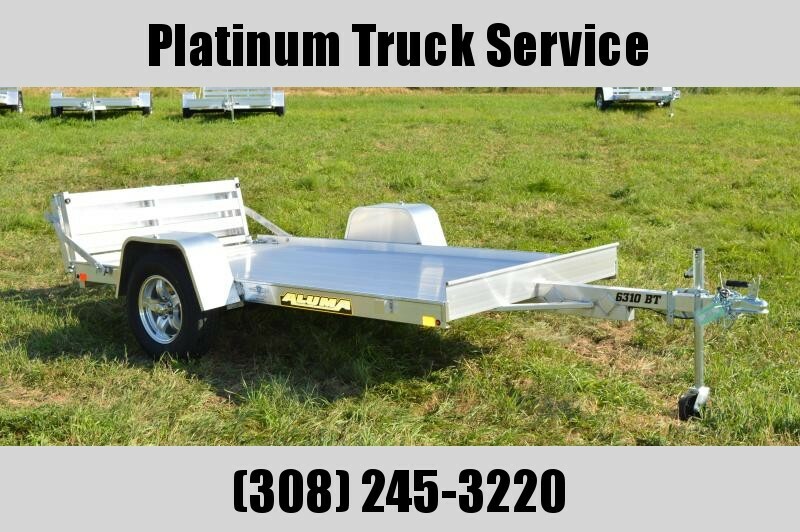 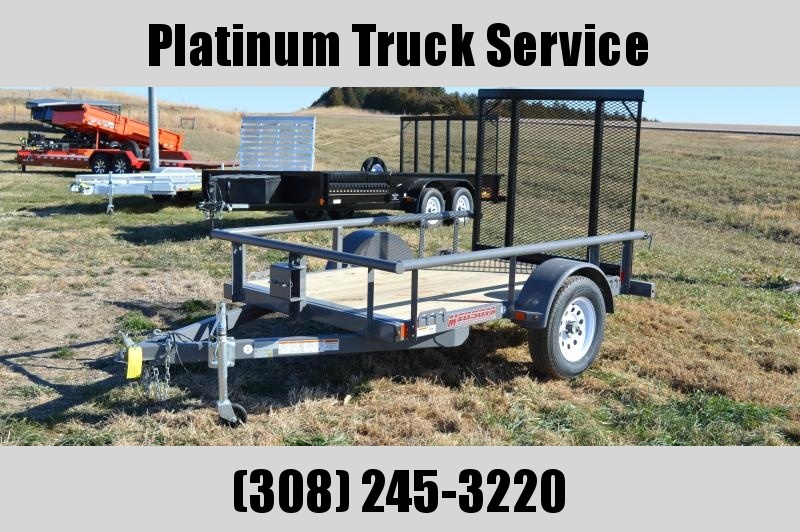 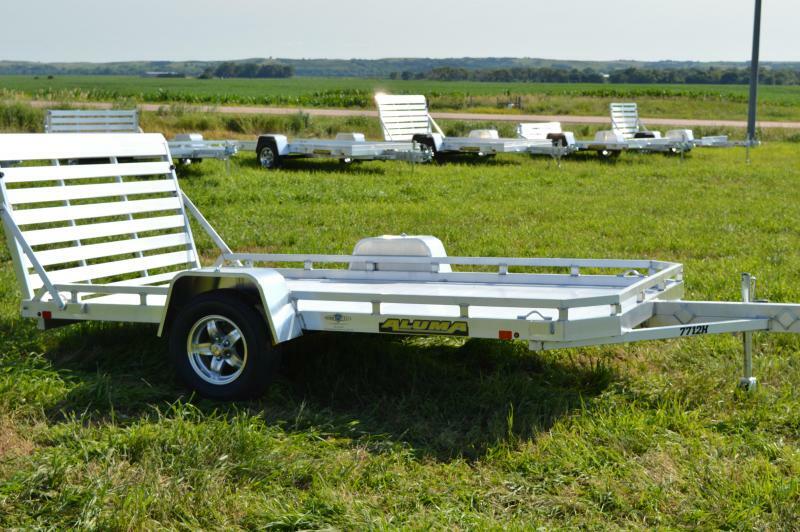 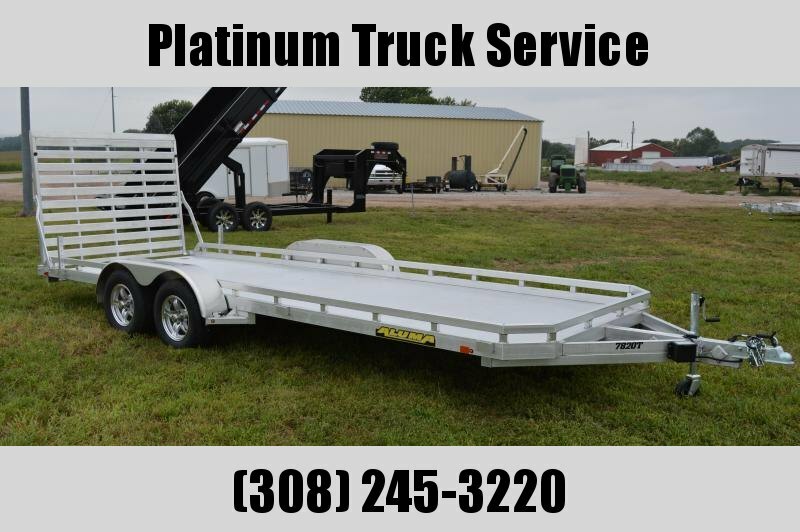 Also , has a Bi-fold tailgate that measures 77.5" x 60" and comes with 2 removable gate arms.Trailer comes with 5 year warranty..